The consumption of vegetables and fruits is very beneficial for your health. Drinking fruit and vegetable juices is a good way to start losing excess . Fresh juices offer several benefits including improving your overall health. People who suffer from various ailments are advised to go on a vegetable or fruit juicing diet. Juicing fruits and vegetables is also a great way to maintain a healthy body and a great shape. It is not only a delicious solution to help you with your loss goals but also an incredible way to increase your vitality and keep your stamina up. So What Is The Best Juice For Weight Loss? Fruit juices act as a cleanser for your body. Citrus fruits are usually the best cleansers. If you are not a fruit-eater, then the best way to consume fruit is to squeeze them. Freshly squeezed fruit juice tastes delicious and is just as healthy as eating a piece of raw fruit. Fiber is lost when squeezing fruits so a healthier alternative is to blend the whole fruit. You need fiber to help cleanse the body and prevent many types of diseases. Fiber adds bulk to your diet and stimulates the digestive system. It is also a big help in reducing excess pounds. Nature has blessed us with a huge variety of fruits. They can be combined in creative ways to come up with the best-tasting and healthiest fruit juices for you. 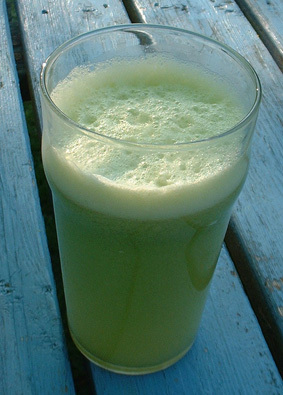 A technique to help consume the large quantities of raw foods we need everyday is through vegetable juicing. Vegetable juices are low in calories and fats yet rich in nutrients. Regular vegetable juicing is a significant key to good health as it is an important source of nutrients that keep the body detoxified. It is a powerful tool to keep your loss goals on track. Vegetable juices also help us maintain a high level of vitality. Because vegetable juices have virtually no fat, it”s a good idea to supplement them with essential oils such as fish oil, flaxseed oil, and evening primrose oil. These healthy fats will aid in the absorption of certain vitamins and minerals. A number of studies revealed that vegetable juices contain more nutrients than fruit juices. Vegetable juices contain basically all the nutrients required to build and sustain the human body in prime health. They also help in weight loss. However, you shouldn”t turn your back on fruit juices either. They are also rich in antioxidants, vitamins and minerals, and they are a good cleanser for the body. Fruits and vegetables have different functions in the body. Combining these two is the most effective way to lose and gain various health benefits.